In the ”EGOS!“ – Training Center Innsbruck at the arrangement future forum distribution, on May 6th, 2014. The future forum distribution is a platform to exchange news, innovations and the newest trends between event partners. The main objectives of this event are focused on the areas of distribution and marketing. “EGOS!” was developed in 1993 as a comprehensive educational and consulting concept in the area of Information Technology. It helps to build up the potential of organizations and enterprises. Continuing education and consultation give you the possibility to strengthen your solution property and to boost your efficiency. The quality of the seminars, excellent educational consultation and professional instructors brings you much desired success. “EGOS!” – services are offered and explained according to the newest standards. 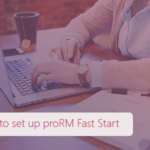 proMX GmbH presents there its effective distribution, resources and project management solution – proRM. 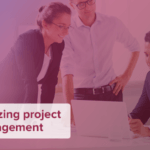 Our extensive experiences in a variety of projects and communications with our partners allowed us to introduce specific points of view about the planning and implementation of project work. UOur team constructed this year on the future forum distribution our own stand and prepared many informative talks and presentations. They show you how current projects of different types can be directed and explained most efficiently. Thus you can recognize the risks of your project early on and decrease them. At the present time, enterprises spend a lot of money to improve their strategies in the areas of project control, marketing and distribution to protect their position in the market. Targeted employee trainings and continuing education are very important and even necessary to ensure you maintain your standpoint and to survive market competition. The company proMX together with other event partners offers you the opportunity to take part with the exchange of information and see interesting presentations of creative methods and ideas for the distribution support. The program of this event is compiled to make sure the most important success-bringing factors regarding distribution are especially informative for the audience. Your participation is absolutely free of charge. Here you can contact us and agree an appointment with our colleagues on our stand. The Worldwide Partner Conference of the Microsoft Community (WPC) is a sensational event, where all partners get new information, experiences, new opportunities, and learn the best methods as well as a lot of other very useful news from the IT world. WPC 2014 takes place from the 13th to the 17th of July in Washington D.C. The proMX team, a Microsoft Gold Partner, will also be present.